John Bace organized a "Taste of Chicago" lunch for WRCR Alumni, current Rockford College Radio staff and station visitors on Saturday October 1, 2011 during Rockford College's reunion weekend. 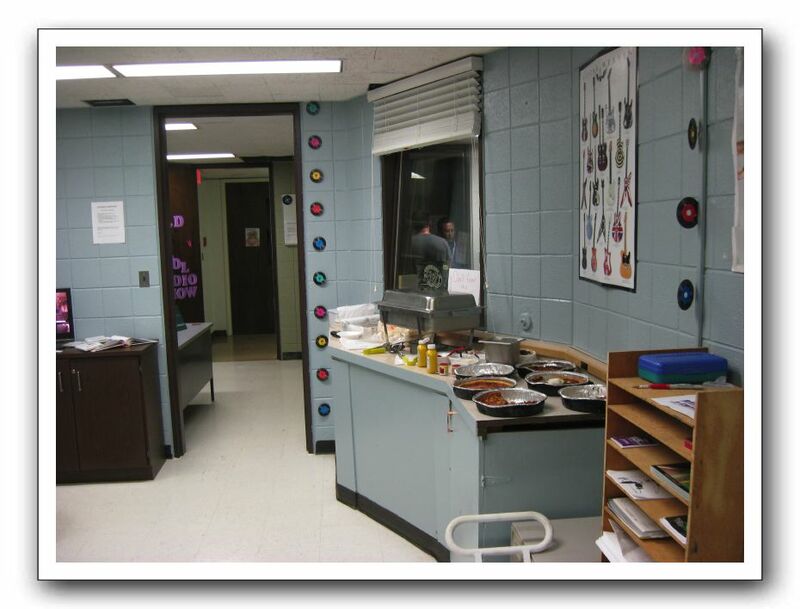 The meal was set up in the lounge area of the radio station. When WRCR occupied this location, this room was the engineering workshop, record library, Traffic Department and storage area. The Rockford College Radio staff uses it as a lounge. Throught the window you can see station General Manager Vince Chiarelli (back to camera) and WRCR alum Chris Lindsay.